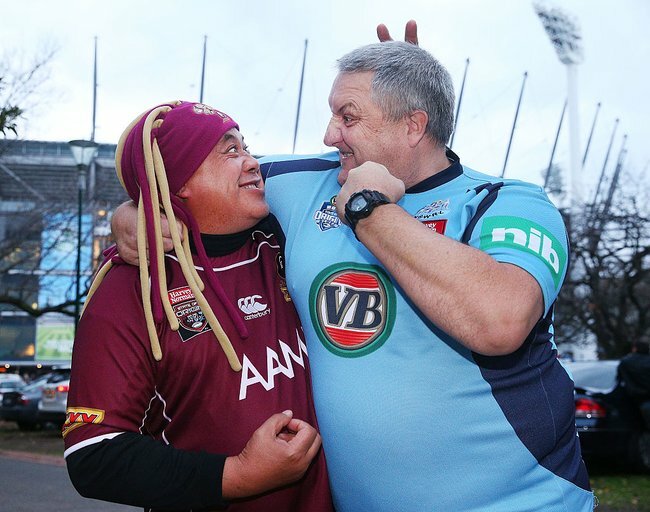 "Why you should watch State of Origin tonight." "Why women really should watch State of Origin tonight." Women of Australia. If you love sport as much as I do or someone in your household does, you’ll know that the State of Origin (SOO) has arrived. You’ll probably notice a lot of people wearing maroon and blue jerseys today. Sausage rolls, packets of chips and tomato sauce will be sold out at the local supermarket. Names like Paul Gallen (captain of the NSW side) and Cameron Smith (captain of the QLD side) will become part of the conversation today. Cameron Smith (left) and Paul Gallen (right). Image via Getty. If you&apos;re unfamiliar with the State of Origin, let me enlighten you. 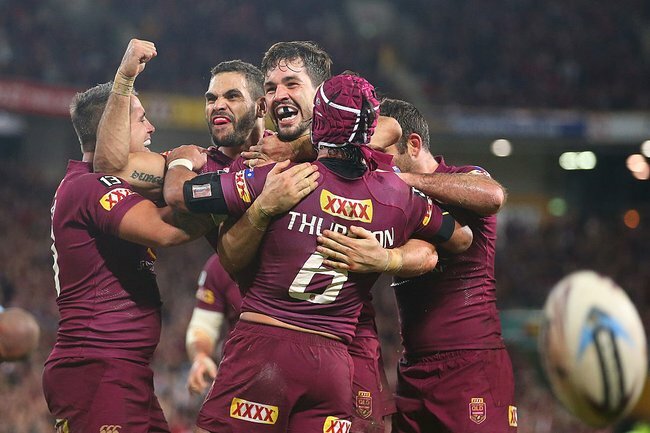 It is an annual best-of-three competition played between the NSW Blues and the Queensland Maroons. Over 36 years, SOO has developed into one of Australia&apos;s greatest sporting rivalries and last year, Games I, II and III were in Australia&apos;s top 5 rating television programs, with Game II taking out top spot for 2015. While it might seem like just sport to you, I would argue there are some life lessons to be gained from watching SOO tonight. Mary with her local club team - Eels. Image: supplied. Or more specifically, the resilience of the blues fans. NSW go into this series having won only one out of the last 10 series. Do you know what it is like supporting a losing team year after year? It takes an iron will! Rugby league fans call this pure dominance and for those of us who haven&apos;t given up on the sky blue jersey, we&apos;ll be hoping that our resilience pays off and the Blues begin the 2016 series with a win. 2. Sport can lead to real conversations about serious issues. Often unreported is the NRL&apos;s commitment to community initiatives like &apos;Rugby League Reads&apos;, &apos;Learning about League&apos; and &apos;Voice Against Violence&apos;. This year, SOO will again be used as a platform to encourage men to have conversations about mental health, something I know can be an awkward topic. The &apos;State of Mind&apos; program involves 22 volunteer ambassadors across all 16 clubs who are mental health first aid certified and use their voices through appearances and community visits to increase mental health literacy. SOO will feature a new ad during the broadcast, but in the meantime here&apos;s my all-time favourite ad encouraging men to have a go at talking about their feelings. Much has been written about a &apos;bad culture&apos; in the NRL. The reality is, sport is a microcosm of society and so long as issues like domestic violence are prevalent in society, they will be reflected in sport. This does not make it ok, but it&apos;s unfair to pretend these issues are specific to the NRL. 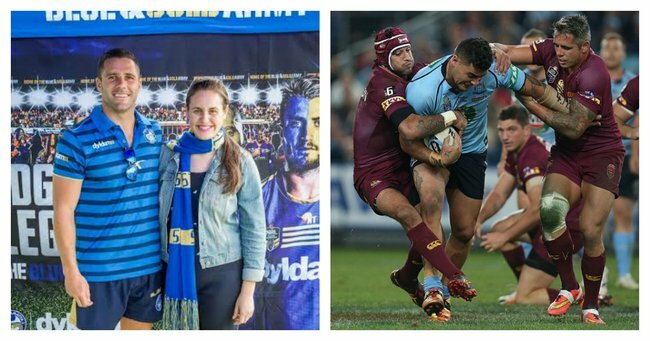 Instead, I want to focus on the NRL as an inclusive game where women are welcome across the board. Take Raelene Castle (Canterbury Bulldogs CEO), Marina Go (Wests Tigers Chairperson), Kasey Badger (NRL Referee), Helen Wood Grant (Men of League Foundation board member), the Australian Jillaroos (our Australian women&apos;s team) and over 400,000 women that have a direct connection with rugby league. The NRL has often led the way when it comes to gender diversity in sport and this Wednesday will be no different. History will be made when Yvonne Sampson becomes the first female broadcaster to anchor State of Origin. Commentate like a girl? You betcha. Yvonne Sampson. Image via Getty. The men that come together to play SOO represent almost all 16 NRL clubs. Whilst they may be the fiercest of rivals during the season, that&apos;s all put to one side for SOO where club rivalries are forgotten and what state you play for becomes everything. This gives the players an opportunity to bond and there are always stories of tremendous friendship and mateship that develop during the series. Take Aaron Woods and David Klemmer - two of the toughest forwards in the NRL who, last year, became inseparable during SOO after Woodsy took the opportunity to mentor the David Klemmer who was making his SOO debut. I had confirmation earlier this week that their budding friendship has continued to blossom this year with the Klemmenator and Woodsy sharing a room at a camp and admitting to NRL personality, Matty Johns that if they had to marry anyone in the Blues team, they would marry each other. Mates first. Club rivalries second. In rugby league there are few greater honours than being selected to play SOO. This year, Adam Reynolds, the Blues halfback, is one of 5 debutants. But for Reynolds, his selection is proof that persistence and hard work pays off. 4 years ago, Adam Reynolds was one of 80,000 spectators that bought a ticket for SOO. Despite many thinking he has been ready for selection for several years, tonight, he gets his opportunity. Reynolds hard work has paid off and he has become our very own &apos;from Blues fan to Blues halfback&apos; story. I wish him well. And with that, bring on Game I. For the record, I&apos;m tipping NSW to win by 20-12 with Paul Gallen to be man of the match. Best hair on ground will be awarded to Aaron Woods.